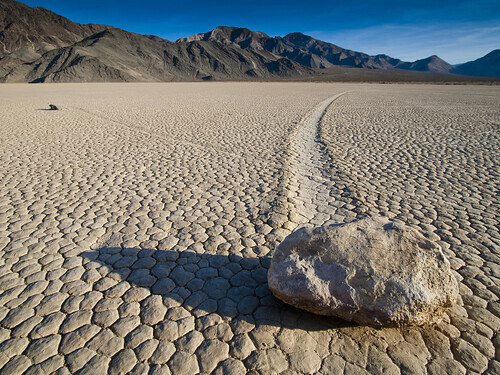 Strange as it may appear but many big (60-70 kg) boulders in Racetrack Playa (dry lakebed), Death Valley National Park, California, move across the surface of the playa, (without human or animal intervention) leaving a clearly visible track. 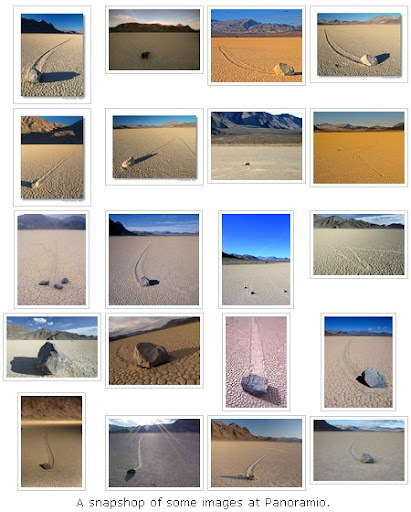 This phenomenon has never been witnessed in real time as these movements occur once every two or three years. 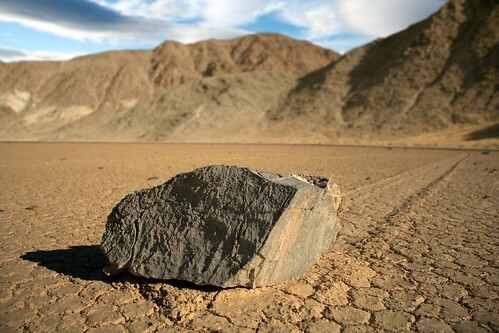 There are many theories and the most plausible one is that the stones are moved by strong wind (upto 150 Kmph) which blows during winter and when the rain has made the clay slippery or the moist surface becomes ice, which is almost frictionless and helps in movement of stones during high wind conditions. The winds here generally blow from southwest to northeast and most of the rock trails are parallel to this direction, lending support to this hypothesis.